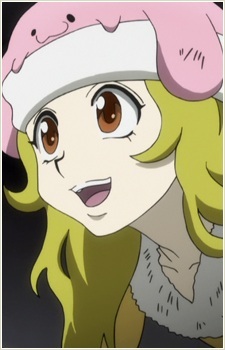 Chimera ant with the appearance and personality of a young girl. Usually seen accompanying Leol and Flutter. Hina is later revealed to be a nen exorcist; she is capable of removing curses or any other sort of inconveniences caused by another nen user. Hina's belly expands with the aura she has taken, causing her to appear almost pregnant. After using the ability, her movement is limited.